Back pain is so common that most people will experience it at some point in their lives. In fact, the American Physical Therapy Association says that at any given time, one in four Americans will have experienced back pain within the past three months. That’s a lot of aching backs! Sciatica is a specific type of back pain that is extremely common — and extremely painful. 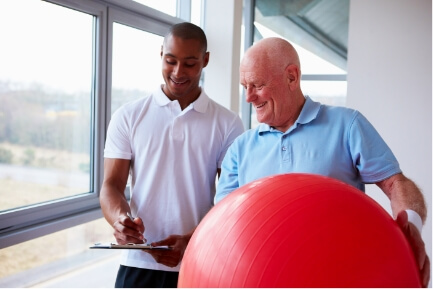 Whether your back pain is due to an injury or strain or a more specific nerve problem like sciatica, working with a physical therapist can restore you to health, and in many cases, can help you avoid the need for back surgery. If you have been diagnosed with a back injury or sciatica, contact Sports & Orthopaedic Therapy Services in Silver Spring, MD as soon as possible so we can help create an individualized physical therapy regimen to help you recover. If you have been diagnosed with back pain or sciatica, contact Sports & Orthopaedic Therapy Services in Silver Spring, MD to schedule a consult with a physical therapist. The pain may be intense now, but we will help get you on the road to recovery as quickly as possible.